UNMC researchers have set a new record -- bringing in $135.6 million in research funding for fiscal year 2018, up 15.8 percent from $117 million the previous year. 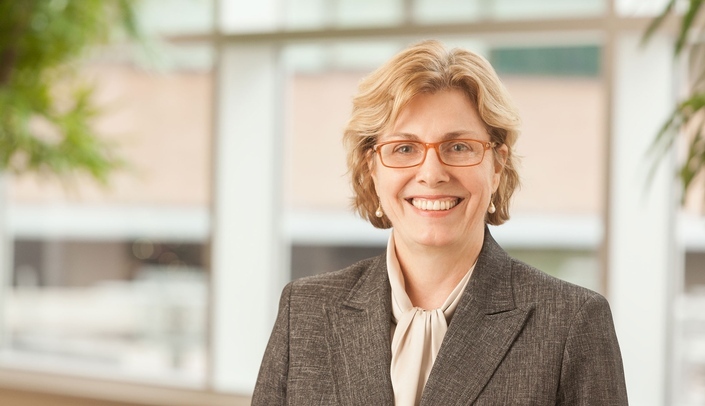 "Kudos to our research community for their success and hard work," said Jennifer Larsen, M.D., vice chancellor for research at UNMC. "Everyone contributed to this accomplishment. We have recruited and mentored outstanding faculty, successfully competed for large grant awards, and many people -- from administrators to research technicians and coordinators -- have worked hard alongside the investigators to make this happen." Dr. Larsen said UNMC saw increases in the total number of grants, the number of unique principal investigators, the total number of faculty on grants, the average size of grants, and the number of large grants such as center grants. Chancellor Jeffrey P. Gold, M.D., said that the research programs at UNMC "are critical to our mission and serve as a key foundation to our definition of being a world-class academic medical center. "This continued record breaking research funding recognizes the excellence of our scientists, our facilities and the continued relevance of our research programs," Dr. Gold said. "Congratulations on another remarkable year." The following units saw double digit increases in their research awards: the Eppley Institute for Cancer Research (19.5 percent), the Munroe-Meyer Institute (39.3 percent), and the Colleges of Dentistry (32.2 percent), Medicine (11.4 percent), Pharmacy (10.7 percent), and Public Health (63.4 percent). Awards from federal agencies increased 15 percent overall, either as primary awards (11.8 percent; 90 percent of which came from the National Institutes of Health); or subawards, which include federal awards from other universities, the University of Nebraska (21 percent) or others (12 percent). U.S. Department of Defense awards through the National Strategic Research Institute increased 43 percent. $2.27 million to Rob Lewis, Ph.D., Eppley Institute, to develop the Nebraska Center for Molecular Target Discovery & Development, which is focused on taking small molecules into new biomarkers or treatments for cancer and other diseases. $2.1 million to Keely Buesing, M.D., department of surgery, for novel strategies to address en route care of warfighters who sustain lung injury. $1.64 million to Surinder Batra, Ph.D., College of Medicine, for a multi-project grant focused on understanding pancreatic cancer metastasis. $1.14 million to Tatiana Bronich, Ph.D., College of Pharmacy, to continue to grow and develop the Nebraska Center for Nanomedicine, strategies to transform medicines to make them more effective in reaching their target. $510,000 to David Dzewaltowski, Ph.D., College of Public Health, for community strategies that might improve the physical activity of youth. $380,000 to Christine Eisenhauer, Ph.D., College of Nursing-Northern Division, for a mobile technology strategy to engage rural men in losing weight.